The classic male and female bathroom symbols have been under a lot of scrutiny in recent years, but it doesn’t look like they’re going away any time soon. 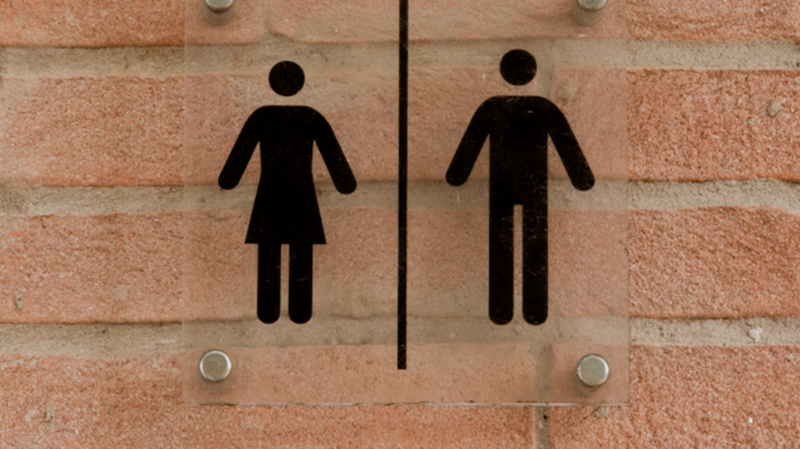 While the crude stick-figures may not be the most clever, accurate, or progressive examples of bathroom signage, they have earned the distinction of being the most universally understood. The rise of international pictograms began in Vienna in 1924. The city’s Social and Economic Museum was looking to convey their data in a way that could be easily comprehended by every visitor, so they replaced numbers with pictograms. This new technique, called the Vienna Method of Pictorial Statistics, was so effective that it quickly gained popularity around the world. Government organizations and other museums were commissioning the Vienna institution to create charts and graphs for them. The system was eventually renamed Isotype (International System Of Typographic Picture Education) and a visual dictionary of over 4000 universal symbols was compiled. One of the most successful applications of global pictorial language was bathroom signs, but the figures we recognize today didn’t become widespread until later in the 20th century. In the mid-1960s, the British Rail became one of the first railways to implement a standard design style for all signs in their trains, stations, and restrooms. This was around the same time that mass tourism and an increasingly globalized economy were making universal signs more important than ever. In the '70s, the U.S. followed Britain’s lead by adopting a comprehensive sign system for their public transportation networks. The American Institute of Graphic Arts was commissioned to develop a set of pictograms that would be used to identify elevators, escalators, babies’ changing rooms, and public lavatories in transit locations around the country. Thirty-four such symbols were created (today we use 50), and they’re still as easily interpreted today as they were 40 years ago. Accurately representing the entire male and female population with a pair of pictograms is almost impossible, but the standard signs are still clear enough to transcend cultural lines. Drawing men as basic stick-figures and women as stick-figures sporting skirts is a common experience for children throughout Europe, Asia, and the Americas. This may be one reason why the pictures elicit a conditioned response. Even in cultures where most women don’t wear skirts and most men don’t wear pants, the imagery is common enough in some of the larger nations to make it a recognizable symbol around the world. There are still many countries that use their own bathroom sign systems (much to the frustration of foreign visitors). In Poland, women's lavatories are indicated with a circle while men’s are branded with a triangle. Lithuania bathroom signs use an inverted pyramid for men’s rooms and a standard pyramid for ladies. Perhaps such symbolism is more neutral than what we use in the States, but it’s not very helpful to foreigners facing a bathroom emergency.